If downloading the Windows ISO file you stand there and wants to create installation DVD from the ISO file for Windows 8 or 8.1, but the solution is simple! Windows 8, you can burn ISO files directly! But if you, for example, want to create an installations USB stick, or have not installed burning software on XP, there is a problem! please download the Windows 7 USB/DVD Tool and install it. It also works for creating Windows 8.1 boot or installation DVD, or a USB install stick! If the NET 2 is not installed in your Windows (XP), you need the NET Framework v2 and the Image Mastering API v2. The NET Framework can be downloaded here and the Image Mastering API here. Make sure the disc should not be a dual-layer DVD disc. Currently, dual-layer DVDs are not supported by this tool. (Image-1) Create Installation DVD from the Windows ISO file! When you choose to download most software from the Microsoft Store, you have the option of using Download Manager or downloading from your browser. However, when you purchase Microsoft Windows 7, 8.1 from Microsoft Store, you have an additional choice to make: whether to download a collection of compressed files or to download an ISO file. An ISO file combines all the Windows 7, 8.1 installation files into a single uncompressed file. When you download the ISO file, you must copy the file onto a USB flash drive or a DVD to install Windows 8.1 When you're ready to install Windows 8.1, insert the USB flash drive into your USB port or insert your DVD into your DVD drive, and then run Setup.exe from the root folder on the drive. 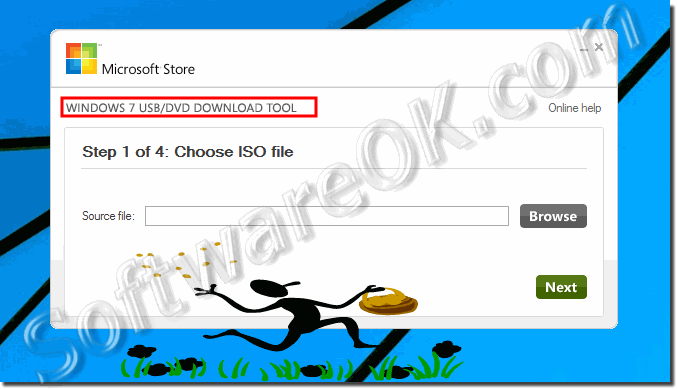 Windows-8 - FAQ-195: How to create Installation DVD from the ISO file of Windows 8.1 or 8! Create ISO file screen shot windows 8.1? How to make a iso file of windows 7 pdf? How to make iso files in cmd for pdf? Create iso file windows 8.1? Create a windows 8 iso file? How to create customized windows iso software tools? How to create bootable ms office dvd pdf? How to add ms office in win installation iso? Create bootable windows 8.1 bootable dvd from copied files? How to make bootable file of win 8.1 downloaded from store? How to bootable file in iso pdf download fre? Create windows 8.1 install dvd from iso? How to create iso file for windows 8.1? How to create iso file pdf? Installing windows 8.1 from usb pdf? HOW WINDOWS 8.1 .ISO FILE TO A DVD INSTALLATION FILE USING WINDOWS IMAGE BURNER? How to make .iso dvd windows 8.1? Create windows 8 dvd from iso? How to create a disk in Windows 8.1 pdf? Creating bootable dvd in win7 pdf? How to create a windows 8.1 iso file? Windows 8.1 installation dvd download? Compressed windows 8.1 iso to 20mb? Win7/dvd download tool(8-8.1) free download? How to win 8.1 install with dvd? Win 8.1 install dvd image? Windows 8.1 create bootable dvd? How to install windows 8.1 from disc.pdf? How to make bootable dvd for windows 8.1 pro? How to install window 8.1 iso full pdf? Download windows 8.1pro img file? I have setup of window 8.1 n i wanna burn it on a dvd n make it bootable? Free download advanced software to make image file into bootable of window 8.1? Install windows 8.1 .iso without dvd or how to install windows 8 from dvd pdf? How to create from iso instalation dvd? Using pen drive bootable to install net frame on windows 8.1? How to download windows 8.1 and burn on cd or dvd pdf? Download windows 8.1 bootable iso to install to usb super comppressed? Create a Windows 8.1 installation DVD? Pdf of how to make a bootable dvd of window 8? Pdf how to make windows 7 image file as bootable? How to install windows 8.1 from dvd.pdf? How to bootable pendrive for window 8.1 pdf? How to create windows 7 installation dvd? How to create bootable windows with ms office dvd pdf? How can i make a bootable dvd of win 8.1from iso file? Windows 8 iso file download? Creating an automatic activating windows 8 dvd with store folder? How install window 8 in dvd pdf? How to create a bootable windows 8.1 pro dvd? How to install window 8.1 in ISO format without DVD? - Answers? Make bootable dvd windows 8.1 from directory?